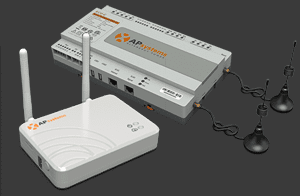 The APsystems microinverter solution offers intelligent monitoring through the integrated APsystems EMA, our state-of-the-art Energy Communication Unit, and the APsystems EMA, our full-featured Energy Monitoring & Analysis software. 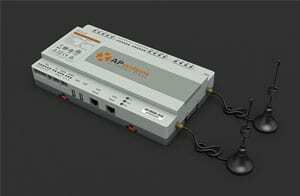 The APsystems ECU, our state-of-the-art Energy Communication Unit, is the information gateway for our microinverters. The unit collects module performance data from each individual microinverter and transfers this information to an internet database in real time, requiring only a single data and power cable. 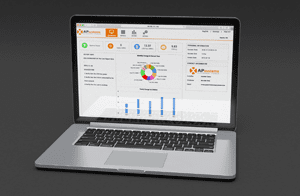 Through the APsystems EMA software, the APsystems ECU gives you precise analysis of each microinverter and module in your solar installation from any web-connected device. The APsystems ECU’s integrated http webserver offers the simplest and most flexible network integration of any data logger on the market. The user-friendly browser-based interface lets you access your solar array in seconds. The APsystems EMA, our robust wireless Energy Monitoring and Analysis software, enables comprehensive, web-based monitoring that analyzes and reports the performance of each module in your solar array. This real-time data can be accessed from any web-connected device, anywhere, anytime. Unlike conventional “string” inverter systems, the APsystems EMA gives you control over each individual module and microinverter in your solar array, optimizing performance over the system’s lifetime. Networked with the advanced APsystems ECU, the APsystems EMA promptly detects any performance issues in your solar array, pinpointing the location and nature of the problem and providing precise guidance for necessary maintenance, all within our user-friendly graphic interface.